Generate lots of ideas really quickly. Crazy Eights works great in the early stages of the ideation process to come up with a lot of varied ideas on an interface very quickly. The time limit doesn't allow for participants to weed out any crazy ideas. It works great early on in the ideation process because it loosens up creative muscles and generates lots of ideas quickly. Originally based on the 6-8-5 game. Hand out blank paper and Sharpies to all participants. Have everyone fold a sheet of paper in half 4 times so they all have 8 panels on the sheet. 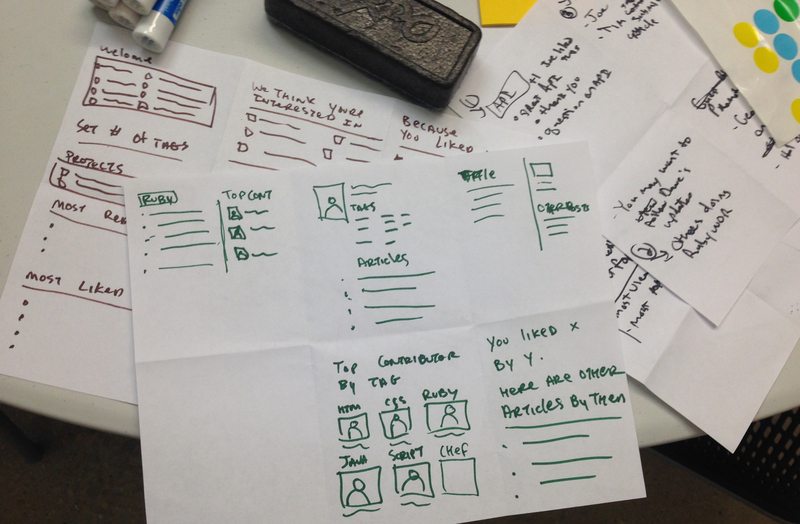 Give 5 minutes total to draw eight sketches of user interaction, 40 seconds for each panel. Sketches should be really rough. Throughout the exercise continue to remind people of the time and make sure that it is clear which sketch they should be on.